It seems Bond really is the name on everyone's lips. The 24th James Bond film smashed records for a movie released on a Monday as it made more than £41 million in ticket sales on its release. 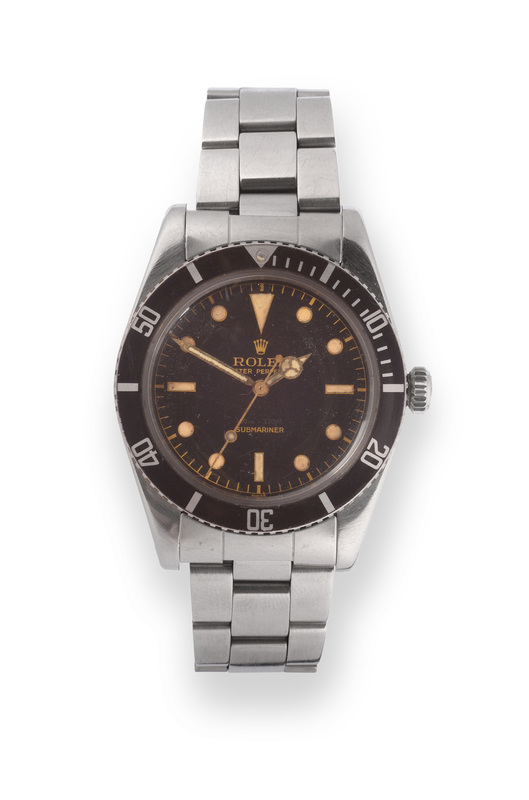 Auction houses continue to keep up with this Bond momentum as Tennants Auctioneers will feature a rare stainless steel Rolex wristwatch in their Autumn Fine Art sale on 13th & 14th November. This Submariner Oyster Perpetual, reference 5508, was first released in 1958 and was the last model of the so-called 'James Bond' Submariners. This model derives from the fact the submariner frequently worn in the early Bond movies featured a case without a crown guard, as does this example. This rare Rolex was made in the second month of 1958 and still retains its original, black glossy gilt four-line detail, with the waterproof depth in silver. It is being auctioned with its original Rolex case; guarantee booklet and service and submariner booklets. For 007 enthusiasts, this is an opportunity to own a special piece of Bond memorabilia. The watch is estimated at £4 000 to £6 000. Check out Tennants on Barnebys here. See realised prices for Rolex watches here.